Hello and welcome, Acting Fans, bloggers and people of the Internet, yep, it's time for another round of H&H news. Okay, so here we go.....erm....uhm...oh, yes, it's coming back to me now, as you read in Wednesday's post we went about going the long way round in coming up with our next Actor's Log at our last H&H meeting. Afterwards it was my job to make those discussions and ramblings into a workable script. So I immediately got down to it, and then sat their looking, much like Chris mentioned (in terror, that is), at the blank screen trying to remember how to start it. I suddenly remembered I had actually written down some notes this time (we are getting more and more on ball with this, honest), now if I could only read my own handwriting. (Hahaha, I'm not kidding either - I should have been a doctor). But, with sheer determination, I did manage to decipher it and Chris had also posted a reference post to my Facebook wall that helped jog the vlog memory. Okay, with the mostly-deciphered notes at hand and this post, I was ready right, right? Well, yeah, sort of, I just had to remember which order the lines were going to go in. So with much going back & forth from my word doc, the notes and FB I got down to wrestling it together. 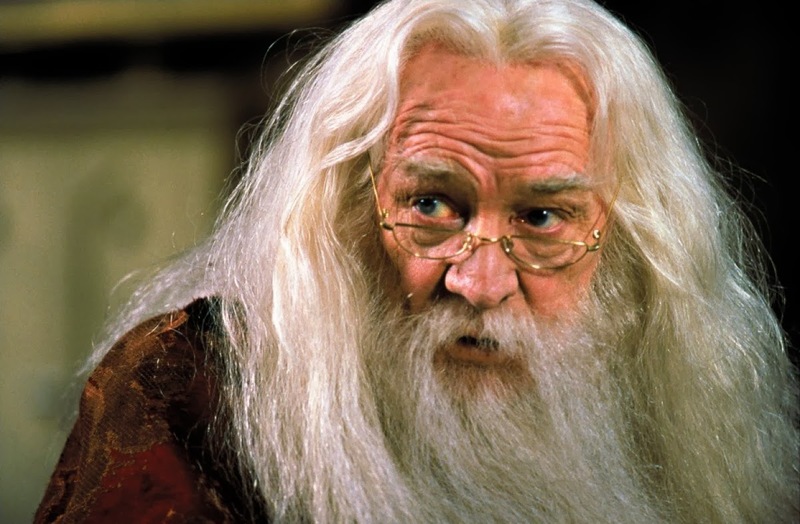 Now this does seem like I'm trying to make this sound more difficult than it actually was but there really was quite a lot of information processed at our last meeting, plus I discovered my Spirit Animal - the actor Richard Harris! I was really surprised how he came across in the interview and ended up liking my favourite Dumbledore a whole lot more, especially him being willing to show himself in a humorous light, like sharing his outtakes and mistakes with the audience. I am playing it up a little bit, yes, but it is a wordier Vlog script, we even got to use a short exchange of lines that both me and Chris came up with on a real-life night out (yep, and we were a little bit drunk too - what can we say, Method Acting). Just how did I remember this line if indeed we were drunk? Well, it amused us so much I decided to wrtte it down on my phone and saved it as draft text. See, I told you we we're getting better at this - even when we've been drinking! So at last that line has gotten used, where and when in the vlog, you will have to watch it to find out, well, once we film it that is. Which shouldn't be too long away! Anyway that's your lot for the week so next time.